The Edmonton Snowmobile Show is the largest show of its kind in Western Canada, and it is a surefire place to spy a few great looking vintage snowmobiles. Alberta collectors and restorers are some of the best in Canada. 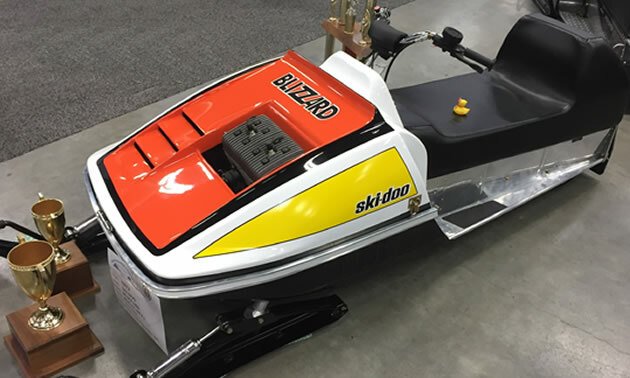 This popular machine took away a bunch of People Choice awards — it’s a 1973 Ski Doo Blizzard with a Rotax 298 FA engine and is owned by Jerry Kallal. Jerry is a member of the Alberta Relic Riders Vintage Snowmobile Club. 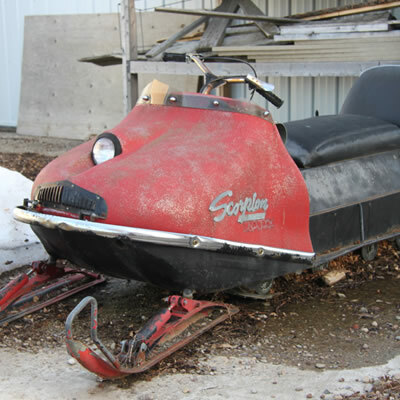 According to an enthusiast site called Bob’s Blizzards, “In March of 1969, there were rumors of Ski-Doo making a sled designed just for racing. 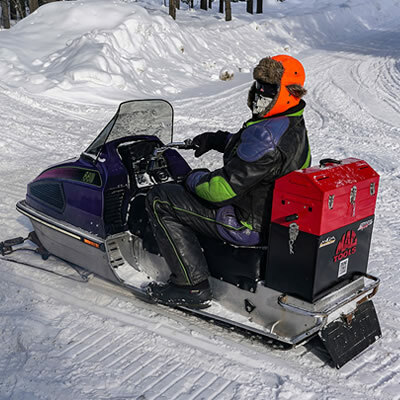 And after Ski-Doo's dominance at the West Yellowstone Round-Up it had everyone wanting to get one of these new sleds. Even as late as the end of July in 1969 it was still a rumor to everyone outside of Valcourt. One of the rumors was what the sleds were going to be called. It was rumored they were to be called "Blizzard" and that they were a limited build and not every dealership would receive one. The only way could get one is as if a dealer requested one by mail. In the 1970 sales brochure for the T'NTs, there was a pencil drawing of the Blizzard with a message saying, "And when you're at snowmobile meets this winter, look out for the Blizzard. It's a new concept in racing machines built to keep us on the winning track. Strictly a limited build racer, the Blizzard is recommended for registered racing circuit drivers." Bob’s page continues by saying this about the 1973 Blizzards, “With the popularity of grass racing in the early seventies, Bombardier came out with a line of grass racer Blizzards. The Blizzard GR were made in all class sizes with the 440 motors on down all brand new rotary valve twins. The 640 and 797 were nearly unchanged from 1972. The twins were on a new chassis that also was used for the regular Blizzards and the T'NT F/A models. The Blizzard GR's had a special rubber track and came with a bogie wheel suspension. To save on weight they were stripped to the bare minimum with smaller fuel tanks and seats. The 640 and 797 used a lighten version of the 1972 Blizzard chassis. The twins on the other hand had a new chassis with fiberglass belly pan and hood. 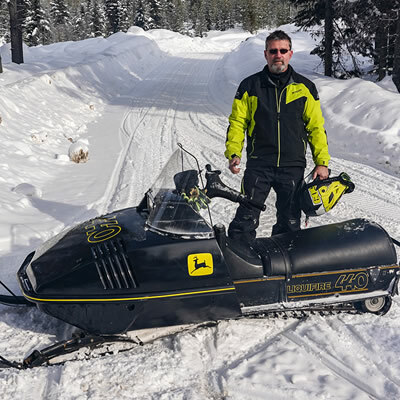 As you can see, these older Ski Doo Blizzards have a rich legacy in the snowmobile industry. 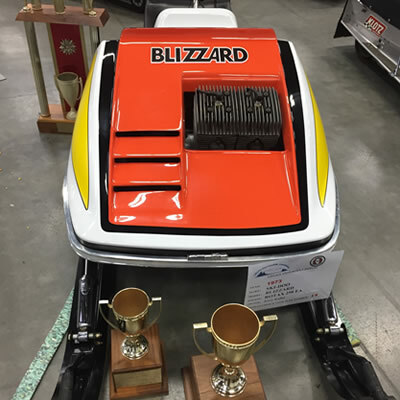 Congratulations to Jerry Kallal on his award winning vintage Ski Doo Blizzard. Now if we only knew the story behind the rubber ducky on the seat?